At the heart of the tourism capital in Paris, the 38th edition of the International French Travel Market (IFTM) Top Resa, France’s leading international travel and tourism exhibition was held from 20th to 23rd September 2016 with much color and elegance. Sri Lanka tourism Promotion Bureau along with Sri Lanka Conventions Bureau supported by the Embassy of Sri Lanka in Paris participated in this annual French Travel Mart with over 20 leading Travel Agents headed by the Hon. Minister of Tourism John Amaratunga and Chairman of Sri Lanka Tourism Mr. Paddy Withana and other official representatives. IFTM Top Resa held much significance and promise for the country this year, due to the forthcoming French Travel Agents Congress (Les Entreprises du Voyage) to be convened in Sri Lanka from 30th October to 5th November, 2016. Sri Lanka pavilion was aptly branded as “Sri Lanka -The Host Country of Congrès des Entrepreneurs du voyage 2016” ensuring much needed exposure for the forthcoming event. This prestigious event to be held in Sri Lanka will congregate over 400 travel agents from France to the country will be featured as a catalyst and a stepping stone for attracting more French tourists to Sri Lanka, in the years to come. 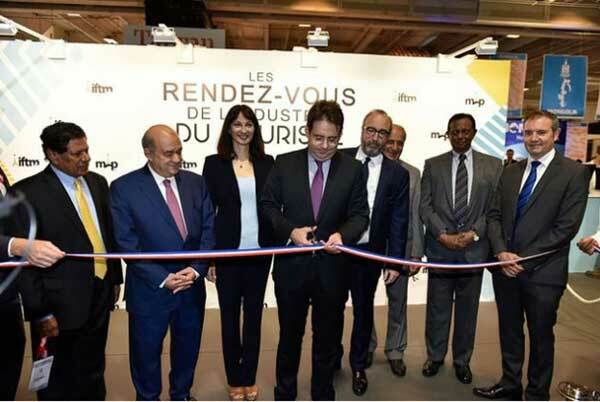 Minister of Tourism, Christian Affairs and Lands, John Amaratunga, participated in the official inauguration of the IFTM Fair as the guest of honor, along with Matthias Fekl, Minister of State for Foreign Trade, the Promotion of Tourism and French Nationals Abroad of the French Republic who was the Chief Guest. 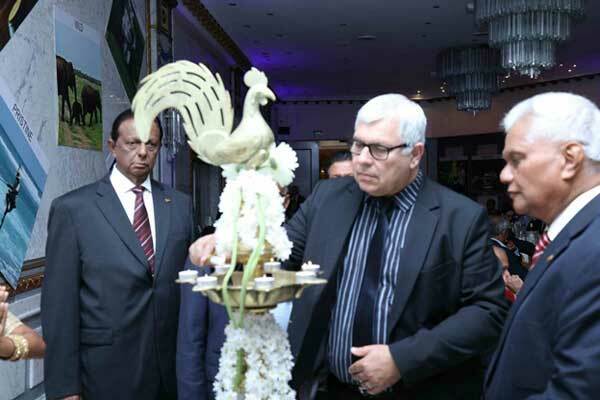 Sri Lanka’s pavilion was ceremoniously opened by Hon. 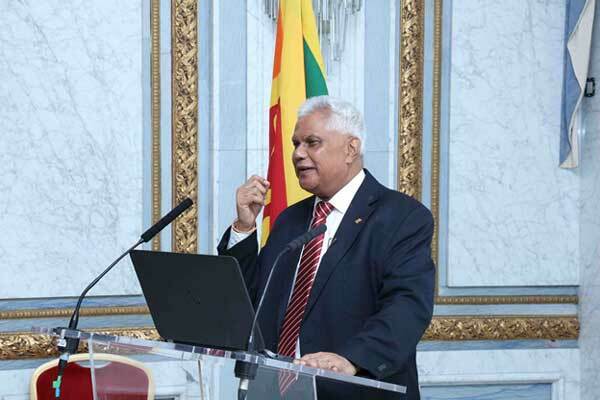 Minister of Tourism along with Sri Lanka Ambassador to France H.E. 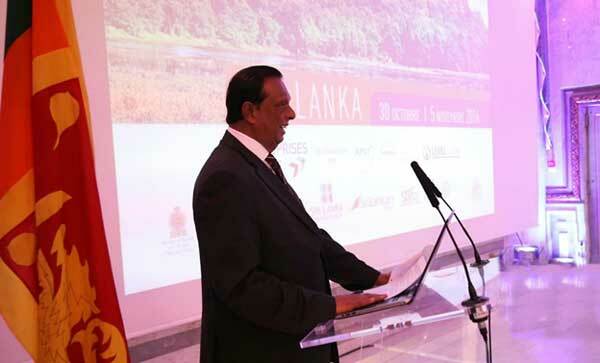 Tilak Ranaviraja, Chairman of Sri Lanka Tourism, Mr. P.M Withana along with tourism officials and leading industry participants and dignitaries who were present at the event. Sri Lanka’s pavilion showcased major tourism themes through visual displays that captured the culture, heritage and scenic beauty of the island. There was also a special counter which was set up at the stand for the registration of French travel agents congress in Sri Lanka. The Sri Lanka pavilion displaying the eight themes of promotion added color to the structure with replicas of the Asian Elephant and the Dolphin, featuring mega – video wall attracted a large crowd of visitors. State minister Fekl visited the Sri Lanka pavilion and witnessed the eye catching dance performances portraying the traditions and the culture of the island offered to the world. Posters, brouchers, guide books, and other promotional materials, also in French were available for the visitors to view and read. Complimentary cups of Ceylon Tea were served to visitors at the Ceylon Tea Boutique which gave them an exclusive opportunity to taste the rich flavors of pure Ceylon Tea. As a result, the booth earned high praise from the visitors. Traditional Sri Lankan dances were performed by the Sri Lankan dancers at the opening ceremony and their unique artistic and traditional styles, and these dance performances drew a large crowd to the Sri Lankan pavilion. 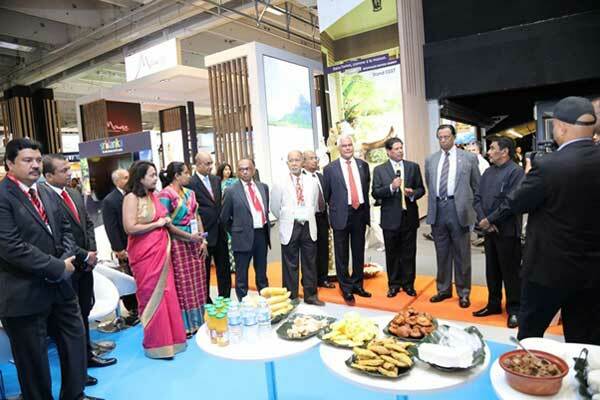 The series of events for the Sri Lanka travel trade in Paris kicked off with a pre-promotional campaign organized in view of the French Travel Congress to be later convened in Colombo. This event was held in Salon Hoche, near Arc De Triomphe , a plush location in Paris. 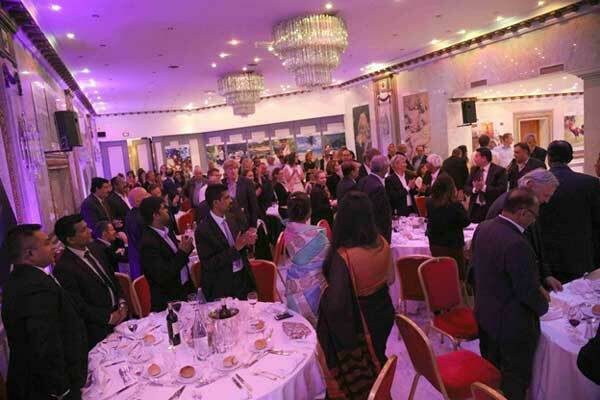 More than 150 participants including French travel agents, journalists, reporters, special invitees and many other dignitaries in the travel industry in France and Sri Lanka graced this occasion which captured the essence of Sri Lanka tourism in a fitting ambiance. Addressing the distinguished gathering at this event, Hon. 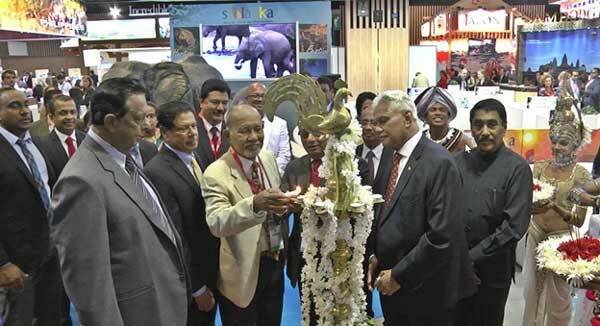 Minister of Tourism added “Sri Lanka is the paradise in Asia as much as Paris is the paradise of Europe. Our country has enormous wealth of natural beauty and various other facets to offer to the avid travelers. We welcome all of you to visit Sri Lanka during the upcoming congress, we are very much honored to host you and make sure you leave our Island with everlasting memories to recall”. 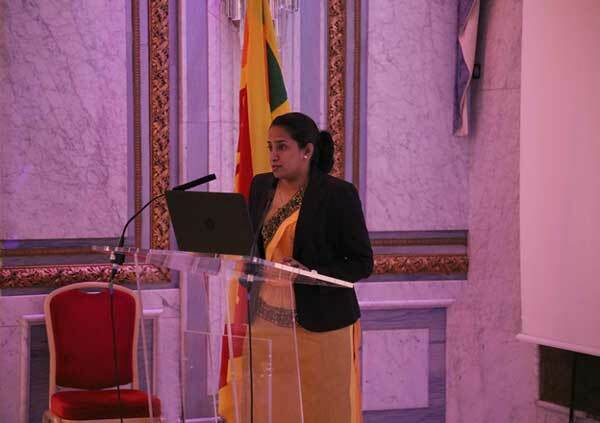 A segment of presentations was conducted by Ms. Sarangi Thilakasena, Assistant Director of the Sri Lanka Tourism Promotion Bureau, Ms. Achini Dandunnage, Senior Manager of the Sri Lanka Convention Bureau, highlighting the country’s tourism potential for French travelers and more specifically on Congrès des Entrepreneurs du voyage 2016 to be held in Sri Lanka. Secretary General Mr. John Marc Roze, Mr. Richard Soubielle - Vice-President of French Travel Agents Congress (LEV), H.E. The Ambassador of Paris, Chairman -Sri Lanka Tourism, Ms. Shobini Gunasekara -Deputy Ambassador of Mission in Paris, Mr. Alexi Gunasekara – Commercial Counselor & Tourism Marketing Officer of the Embassy of France took the initiatives at this event for encouraging French travel agents to visit Sri Lanka for the upcoming congress. 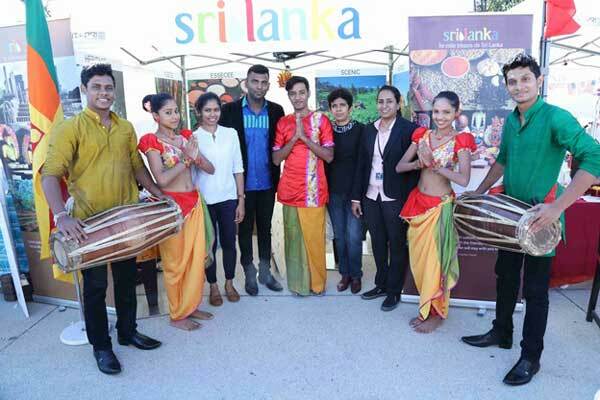 All participants at this event were served by detectable Sri Lankan food and French food alike at the backdrop of Sri Lankan cultural dance performances. Sri Lankan local travel agents offered complimentary tour packages to winners of the raffle draw conducted as a mark of respect and a good will gesture for their counterparts in France. The Minister of Tourism and the other guests of honor took the privilege of meeting and greeting all travel agents present at the event ensuring the highest level of cooperation from the Government of Sri Lanka to conduct French Travel Agents congress successfully in Colombo. French travel agents have shown high level of enthusiasm on Sri Lanka at the conclusion of this event with the assurance given to them by the authorities in Sri Lanka. During the IFTM travel fair, the Minister of Tourism Hon John Amaratunga, Mr. P M Withana, Chairman, Sri Lanka Tourism and Ambassador Tilak Ranaviraja along with Embassy officials had a high profile meeting with the Bureau of Tourism in the Cabinet of State Minister Fekl, to obtain expertise and technical assistance for Tourism Master Plan Development in Sri Lanka and to enhance the final product value. The French authorities were open to discuss a policy level initiative with Sri Lanka in further consolidating the bilateral partnership between the two countries. Deputy Chief of Mission Mr. Cyrille Pierre of Bureau of the State Minister of Foreign Trade, the Promotion of Tourism and French Nationals Abroad assured support for an MOU between the two countries and possible cooperation to lobby for direct flights to Sri Lanka in the future. 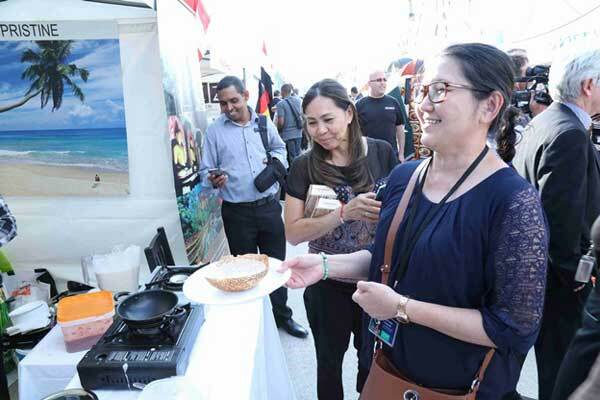 On the sidelines of Top Resa, Sri Lanka also participated in “Fete de la Gastranomie” a culinary fair in the banks of the river Seine along with 37 other countries in display of the spice infused delectable cuisine of the country. At the show was an ample spread of a variety of food from all over the world with culinary craftsmen creating elements of shared heritage and aiming to spotlight gastronomy in all its many and diverse forms. The event was attended by more than 15,000 French visitors making it one of the highest attended events by French public during the time. 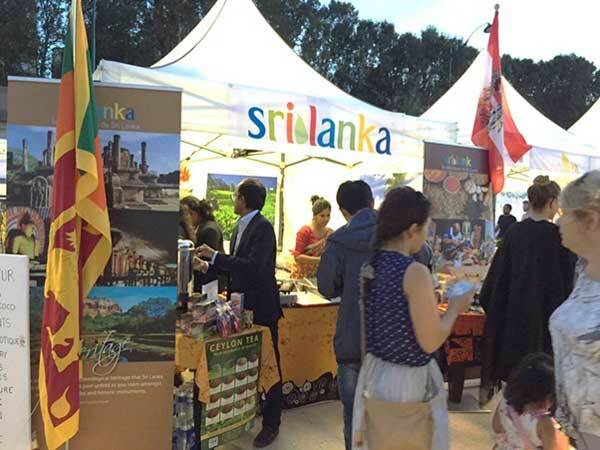 Sri Lanka showcased the country attractions in the stall featuring a Ceylon tea counter, traditional food counter and Ceylon spices varieties to the French public. Ambassador Tilak Ranaviraja, in further adding to the very positive atmosphere organized a networking dinner for the industry representatives at his residence towards the end of the travel mart, which enabled the representatives to interact better with their counterparts. Ms Sarangi Thilakasena, Assistant Director of the Sri Lanka Tourism Promotion Bureau, Ms. Achini Dandunnage, Senior Manager of the Sri Lanka Convention Bureau along with Mr Alexi Gunasekera, Commercial Counsellor and Ms Ganista Rasanayagam, Commercial Assistant of the Embassy of Sri Lanka Coordinated the series of events which highlighted the potential of Sri Lanka as a unique destination for the French travelers. IFTM Top Resa concluded as a must attend and only event in the French market covering all grounds travel, which include leisure, business, travel, groups & MICE. The French tourism arrivals to Sri Lanka has crossed 71,000 mark by the end of August this year with 13 % YOY growth. It is expected to reach beyond the 100,000 arrivals mark for the first time at the end of 2016. By conducting the French Travel Agents congress in November, Sri Lanka aims to provide trust for the already booming French tourist arrivals with the support of all leading French travel agents and government of France. The recently concluded IFTM Top Resa 2016 laid the foundation for these achievements by strengthening ties among all stakeholders of travel and tourism in both countries.